Christian County’s Arlon Casey Jones, or AJ, and his wife, Peg Hays, produced their first spirit run of “Casey’s Cut 92” a prohibition-style corn whiskey January 2nd. The whisky comes from a secret family recipe developed during the prohibition era, produced using a still built by Jones’ grandfather, Alfred “Casey” Jones. 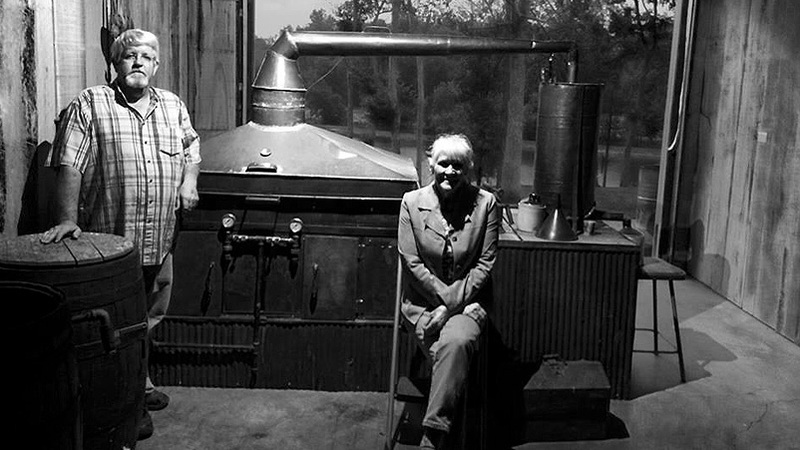 They speak with Kate Lochte on Sounds Goodabout the distilling process, their progress on becoming legal distillers and how they got the antique still back from Land Between the Lakes. AJ Jones is the grandson of Casey Jones, whose last still was on display at the Golden Pond Visitors Center. Jones lived in Golden Pond and anyone who wanted a still to make corn whisky or moonshine went to Casey Jones to have one made. The Jones’ negotiated to replace the display with a smaller model and have since brought it back to life. Their whisky uses a family recipe that had been kept secret as it had been illegal to produce during and after prohibition. Currently, they are taking steps to become legal distillers and hope to be able to sell their product soon both at the workshop and in local markets. The still holds 100 gallons of corn mash, which produces about 30 gallons in a batch. Their goal is to let people come and have a real moonshine experience from loading the still, to cracking the corn, making the mash, running the distillation process, collect the spirits, proof them, gauge them as they come off, bottle them, cut it to whatever proof they want. They also hope to offer custom labeling. Read more and listen to the WKMS story, visit WKMS.org.